Great Bear Properties opened for business in the Seeley-Swan Valley in 1993. Today, we serve customers from all over Missoula County, helping buyers and sellers make some of the biggest decisions of their lives. Great Bear’s integrity and professionalism are what set us apart from competitors. The personal relationships we build with our clientele is second to none. Our slogan, “Higher Standards by Nature”, is not just a theme, it’s the cornerstone of all we do! Kim Koppen, CRS, is the Broker and Owner of Great Bear Properties. 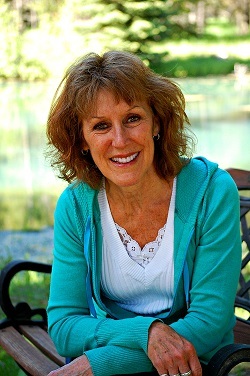 Kim has been assisting buyers and sellers with real estate transactions in the Seeley Lake area since 1997. Her clients are her #1 concern and she puts their wants and needs first. Kim’s compassion and attention to detail have helped her build a successful, 19-year career. Much of her business comes from referrals from former clients and repeat customers. When not working Kim loves to spend time outdoors. From camping, hiking, kayaking and boating, to skiing and snowshoeing - she enjoys experiencing the Montana wilderness with her family!